Posted: Thursday, June 25, 2015. 7:49 pm CST. Thursday, June 25, 2015. Aaron Humes Reporting: The Petrocaribe Loans Act is heading back to the House of Representatives for amendments on Friday. But its opponents are not giving up the fight to get it overturned. 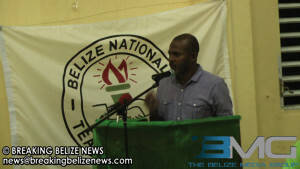 They gathered at the St. Mary’s Parish Hall in Belize City on Wednesday night to vent their frustrations. The forum originally scheduled for the University of the West Indies had fallen through when Government complained that it was not balanced. But organizers cared not a whit. 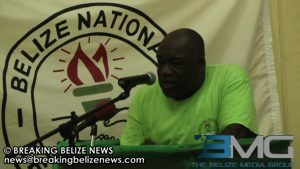 President of the Belize National Teachers’ Union (BNTU), Luke Palacio, says the three main complaints against the Act – its flouting of the Finance and Audit (Reform) Act, retrospective covering of potentially illegal acts and general poor lawmaking designed to be a cure-all for financial worries – have not been addressed. He says Friday’s result will not change anything as far as they are concerned. Panelist Evan “Mose” Hyde compared the Act to rotten food that the Government is trying to season, and suggested that Belizeans are being left high and dry. In his view, what the Government can do with the money matters not: what matters is how accountable they are for it, and how hypocritical they have been to ask the country to look past their misdeeds while not being similarly forgiving in other areas. Patrick Rogers of Vision Inspired by the People (VIP) argued that there is really nothing left to argue against, since the Government has appropriated power to change any law standing in its way, even the Constitution. 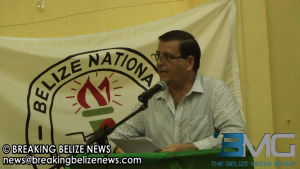 As part of his “ten inconvenient truths” directed at the Act, Senator for the Business Community Mark Lizarraga stated that the Petrocaribe program anticipated a benefit for the agricultural community, who would have been able to repay Belize’s debt in goods and services. He attacked other aspects including Belize’s general debt profile and the Government’s high-handedness of actions. Vocal opponent of the Act and president of the Christian Workers’ Union Audrey Matura Shepherd, as the fourth panelist, detailed why the amendments do not change the substance of the Act, and why they were never meant to. She points to the lack of consultation with some opponents and the Government’s general laissez-faire attitude, as seen in its meetings with the unions. In the question and answer portion of the forum, things got particularly rough as hecklers from the back of the room identified as supporters of the ruling party tried to challenge the panelists. 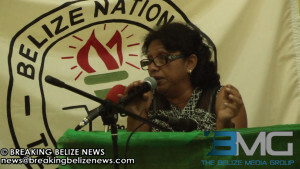 President of COLA Geovannie Brackett struck back stating that if the Government is allowed to get away with Petrocaribe, then many other wrongs can be similarly forgiven. The BNTU has officially stated, after consultation with its membership, that it is against the Act and currently proposed amendments.